There is a widespread – but very erroneous – impression that if an enemy attacks, a proportional response means a nation can only return what was received and no more. That is, the mistaken impression is that if Hamas shot one rocket, we could only shoot one rocket back. International law, however, defines proportionality very differently: it is a question of legitimate military goals and intentionality. Put very simply, we would not be restricted to only shooting one rocket back at Hamas, but rather doing what is necessary (within certain defined limits) to ensure that Hamas does not shoot any more rockets. That is a legitimate military goal. (c) and whether (a) was “clearly excessive” in relation to (b). The sort of bombing we are doing is entirely legitimate and proportional to our military goals of making it impossible for Hamas to launch rockets at our people. If in the process some civilians in Gaza are hit, our military action remains entirely legitimate. Do not believe otherwise. In point of fact there are bound to be civilian deaths because Hamas uses civilians as human shields and places its arsenal of weapons in civilian areas. Were Israel to decide to carpet bomb Gaza to make Hamas stop launching rockets, that would be clearly disproportionate civilian destruction in relation to the goal of stopping Hamas. But that, of course, is something we would never, ever do. We are, in fact, extraordinarily careful to avoid civilian deaths whenever it is possible to do so. We actually place phone calls to homes, warning families to get out, before we bomb the houses. What is not legitimate according to international law is the sort of deliberate targeting of Israeli civilians that Hamas is doing day in and day out. Here the intentionality is to hit civilians. And yet, as we see day in and day out, the international community draws an outrageous moral equivalency between Israel’s actions and those of Hamas. When the State Department calls on both sides to “act responsibly,” you know what a joke this is. Philip Gordon, a special assistant to US President Barack Obama and the White House coordinator for the Middle East, at a conference sponsored by (surprise!) Haaretz, made it clear that the Obama administration still expects a negotiated settlement between Israel and the PA, based on the ‘67 armistice line. Now he says this? Inconceivable that he ignores the current violence from Hamas, and the fact that it is part of a unity government. But there it is. “Jerusalem,” he declared, “should not take for granted the opportunity to negotiate” a treaty with Palestinian Authority Mahmoud Abbas, who has proven to be a reliable partner. So let’s take a look, just for a moment, at Fatah, which is Abbas’s party. “One god, one homeland, one enemy, one goal” unites Hamas, Fatah and Islamic Jihad. Editor’s note: Please read this link. The use of the word “settlements” is a tip-off to the fact that Fatah considers Jewish presence even within the ‘67 armistice line to be an illegitimate “occupation,” i.e., they want it all. The Elder of Ziyon put up a posting about “What Reporters Need to Know” during the current Gaza operation. But I think the points are so good that everyone needs to know them. 1) It is a mistake to assume that all casualties are the result of Israeli airstrikes. Then there are “work accidents” and civilians killed when guns are shot off during funerals. 2) It is a mistake to assume that casualties and damage are the direct result of Israeli airstrikes. Many airstrikes hit weapons caches and explosives that cause a larger explosion than the strike itself. 3) It is a mistake to believe that casualties are civilian when they are not. Do see the entire posting. They are still launching rockets at us – including at the center of the country and even farther north. Rockets have landed just south of Haifa, in Hadera, Zikhron Ya’akov (where someone was mildly hurt), Casaerea and Hof Bonim. In some of the attacks that are farther away, Iranian long-rang missiles such as the Fajr5 and M302 are being used. Needless to say, the south – particularly Sderot and Sha’ar Hanegev – is being hit hard. More than 225 rockets have been fired at Israel since the beginning of the operation. But we are hitting hard inside of Gaza, as well. ”We’ll continue with strikes that will exact a very heavy price from Hamas. We are destroying arms, terror infrastructures, command systems, Hamas institutions, regime buildings, terrorists’ houses, and killing terrorists of various ranks of command. Saying “from the ground” obviously implies a ground operation. There are multiple hints about the fact that this is about to occur, but we’re still not there. The reserve troops still have to take their places in Judea and Samaria, to replace the regular troops who must be moved to the border with Gaza. The IDF spokesman said today that the next stage is being prepared and that this will be a long operation. And so this sounds very serious indeed. But the idea is that we are supposed to remove their capacity to hit us again! Not just make them stop now. And there is the fact that, while we announce we have destroyed the homes of key Hamas leaders, we deliver a warning first so that families are not hit, and many of the leaders themselves are still walking this earth. Several reports are encouraging with regard to the concerns I’ve expressed here. Khaled abu Toameh tells us that for all the bravado of leaders of Hamas, they are stunned by the power of Israel’s attack and reeling. “A senior Hamas official pledged that militants would not ‘surrender’ in the face of the latest air strikes on Wednesday. This, then, may truly be an operation that is qualitatively different. Security is on high alert because Hamas is hoping to initiate a major terror attack as a way of shifting the balance. Yesterday five Hamas terrorists entered Israel via the Mediterranean at a beach near Ashkelon and were killed by the IDF. Previous OzTorah: Torah reading – Pinchas. Next Think Again – Where is the Chief Rabbi of Israel? 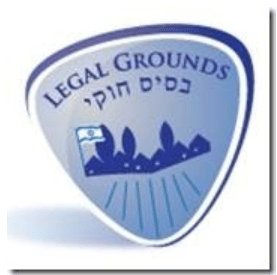 When it comes to harming Israel and giving its mortal enemies a propaganda advantage, many nations simply ignore the international law which they themselves have created , and impudently make assertions which contradict their own laws and conventions. A recent example has been the recognition of the Balestinians as a “state,” a disgraceful violation of the international Montevideo Convention on the Recognition of States, which Australia’s former Foreign Minister and his party vigorously supported to their eternal disgrace. This kind of diplomatic signal to the aggressors, together with the even more blatant ones given by Obama, Kerry and their messenger boy, Indyk, has been one of the factors that has given them the impression that they can attack Israel with impunity; hence the riots in Israel, the murders and the gaza rockets. The Arabs believe that they are riding a wave of international support for every atrocity that they commit against Jews and they are not slow to take advantage of it. The media’s conduct, too, has been typically villainous. While scores of rockets were striking Israel in the weeks preceding the kidnapping of the three boys, including one that hit a child care centre, the media ignored the Arab onslaught; now, the tenor of their reporting is that the rockets are retaliation for Israeli bombardment.